First moonbow of the night……During the spring full moons, a moonbow can form at the base of Upper Yosemite Fall (and at Lower Yosemite Fall, but I haven't imaged that one yet). 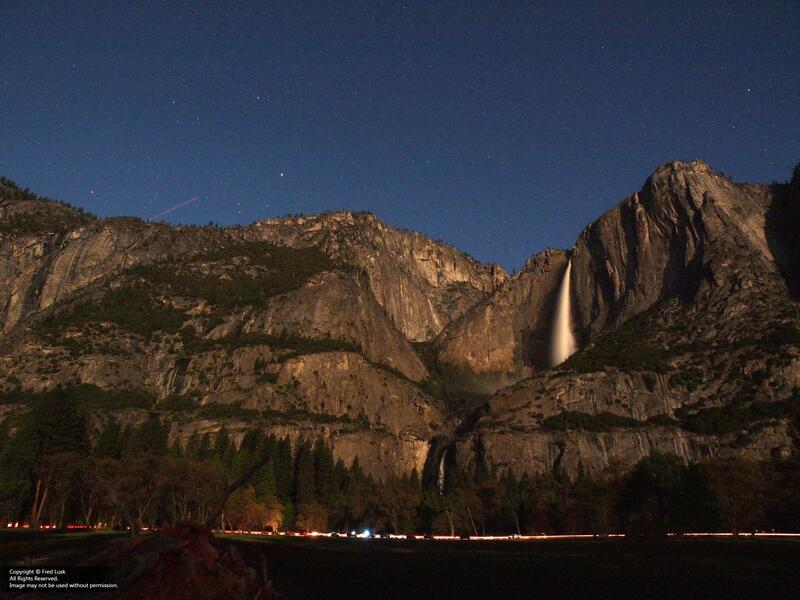 The moonbow is really only visible with exposures greater than about 10 seconds. Only once during the night did I even get a hint of the moonbow with the unaided eye, and that was just a fleeting gray streak. I set up at Cook's Meadow in Yosemite Valley with about 80 other people who were intent on doing the same thing I was: photographing moonbows. The landscape was brightly illuminated by the full moon.